The forest is not always what you think it is. One usually associates it with lots of trees, and birds, and moments of silence and bewilderment— in short, the whole Walden experience. But the forest is also a kind of machine in which things are produced. These things are not necessarily simple trees; today, forestry is engaged with genetically engineered trees that grow ten times faster to produce pulp and nano- technologically manipulated materials that some say will replace plastic in a few years’ time. This is just the tip of the iceberg of a practice that has been in operation for hundreds of years. Through the lens of modern forestry, forests have been transformed into lists, charts, factories, systems, models or assets. New conceptions of forests demanded organizational schemes of unprecedented scale, complexity and ambition. This is where planning and design come in, defining artificial environments through site analysis, infrastructural thinking, technological innovation, and spatial distribution schemes. Forestry and design have exchanged knowledge in different moments, and the traces of these transactions can be seen in both. It is possible to re-frame these connections from a design perspective. Modern forestry emerged as a reaction to the demand for timber. Early states such as the Republic of Venice, which depended on wood to build its naval power, understood the limits of the cut-and-move-on practice and the need to manage its resources. Their response was shaped by a bureaucratic perspective: if one could turn forests into detailed and precise lists, their management would become possible. And so lists begin to appear, charting ownership, inventories of preferred species, and even harvesting cycles. Such documents have nothing to do with forest sites as real locations. The forest is deconstructed and reconstructed again in the form of a list. This type of knowledge is not scientific: it does not deal with the material qualities of trees in their environment. It is rather a bureaucratic knowledge, which serves to enhance control and exert political power. Abstracting forests in such a way became a common practice under different forms of government. The United States census, which translated the material resources of an entire continent into exhaustive lists, is but one striking example. However, the production of lists can also be a necessary step in design projects that use the rationale of the forest without dealing with its concrete sites. This type of project ranges from rough forestry pavilions in early 1900s expositions or in global postmodern expos, which aim to expose to the public everything that is “in the forest”, to those more abstract and contemporary projects such as Cedric Price’s Generator project in a wooded Florida site, which created binary distinctions between “tree” and “no-tree” in its organizational schemes. In all of these, design reconstructs, through a nuanced set of operations, the forest in architectural form. Enlightenment thinking in eighteenth-century France transformed the understanding of forests. Figures such as the botanist, naval engineer, and expert forester Duhamel du Monceau, who also contributed the entries on forestry to Diderot and D’Alembert’s Encyclopédie, developed systematic scientific tools for examining, analyzing and projecting the development of forest areas. From this perspective, the material qualities of trees were paramount, with more and more attention given to their structural qualities and rigorous taxonomy. Later developments in Germany, Switzerland and the United States incorporated soil quality, the disturbance of natural disasters, or the effect of climatic conditions to come up with monitoring systems and forest models that were more and more complex. These models highlighted the relationship between the formal organization of forest environments and the way they functioned. With that, how to design a forest became a crucial question in attempting to secure its survival and performance. As forestry drew closer to design, new forest models began to appear. These models were used both as communicative devices that explained complex systems through simple means and in sophisticated attempts to integrate forestry, planning and design to create artificial forests that seamlessly integrate human settlement and natural resources. At first, the practice of forestry in the tropics meant only destruction. As colonial powers expanded their control over new islands and new continents, total extraction was their immediate instinct. However, as much as colonizers shaped the places they set foot, these places shaped them in return, challenging their euro-centric worldviews. 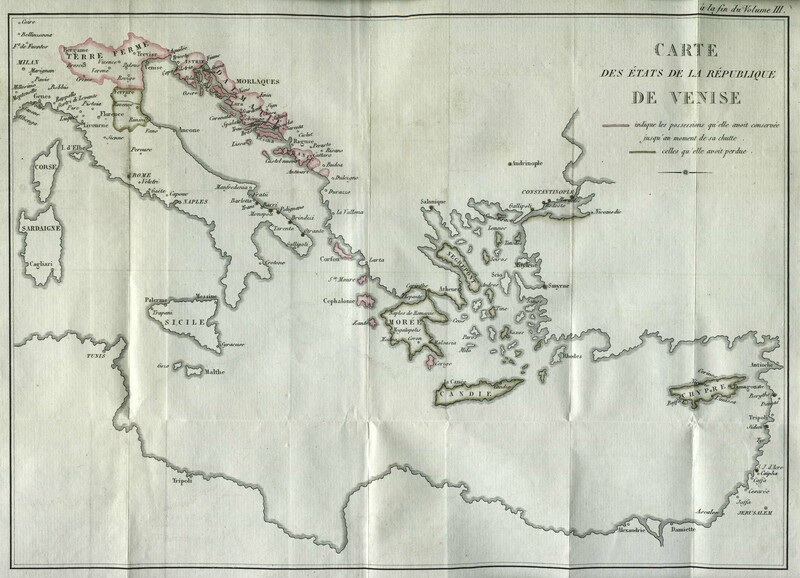 Toward the end of the eighteenth century, for example, the links between deforestation and dwindling water supply on island colonies was common knowledge. Tropical forestry was not only about the discovery of new plants and trees. It was also about the development of a more nuanced approach to territorial management. The money and effort invested in colonial enterprise in the nineteenth century created a new class of foresters: an elite group of experts who consulted imperial and local governments on how to use forestry to mediate the needs of an empire with those of its population. It sounds like a lucrative occupation, but in places such as British India these experts had to traverse uncharted woods on elephants, laboriously marking the number and diameter of trees on sticks because the climate was too moist to use paper. These excursions informed new systems of forestry: ones in which different species could be grown together and native agricultural practices integrated into forest management. They also informed the first comprehensive forest surveys and the traffic of wood samples, which allowed imperial powers to grasp the immense territory they controlled. Surveys turned into maps, and maps into plans. From colonial India, forest infrastructures and forest reserves were introduced on a continental scale. These groundbreaking efforts in regional planning served as a definite model in places such as the United States. With the rise of industrialism, forests were seen as factories. In vast territories such as the United States in the mid-nineteenth century, attempts to make the process from log to end product more efficient and sophisticated led to the rise of economic forestry. With this kind of forestry, efficiency is key. Individual trees are dissected into different parts and turned into a variety of products. In North America, the process was backed by numerous technological innovations, from advanced skidders to drowning barges that unload bulks of lumber into rivers. Product distribution and the perpetual search for new markets grew, which in turn heavily impacted the profession of forestry. Gradually, this efficiency was scaled up to organize whole environments. Forests, factories and housing production were streamlined to optimize profitability. At times, these total environments resulted from collaborations between the federal government and private producers, who imagined a complete cycle of extraction, production, and living. On the level of architecture, forest product companies and the US Forest Service promoted certain economies of construction, informed by demand curves and market conditions. Their close involvement with architecture can also be seen in the home bases of the companies: their central headquarters buildings. The Weyerhaeuser headquarters, designed by SOM, demonstrates in its curious design a new phase in the life of the corporation. The vast interiors blur the boundaries between architecture and forestry, precisely at the moment when the forest industry underwent a massive process of dematerialization in which “land” substituted “trees” as its main resource. This radical breaking point reorganized the workings of corporations geographically, politically and financially, and pushed artificial forests and their management to their next incarnation. 2011 Young Curator Dan Handel published the series “Primers of Forestry” on the CCA website in conjunction with his exhibition First, the Forests, and this article has been adapted from the original series.